What is police performance? What does it look like? How would a police executive know if “good performance” existed? Police performance has been debated for years. However, advances in research have brought us closer to a meaningful definition, one that practitioners can understand and operationalize with relative ease. This application guide should be used with What Every Chief Executive Should Know...and assumes familiarity with that text. The guide forges ahead by exploring the six drivers of performance management that government and business can use to manage results. The intent is to synthesize the broad concepts of performance measurement discussed in the primary text with a comprehensible and useful management framework. The component parts of the model illustrated in this guide fit together to form a conceptual framework that police administrators can follow as they build a management structure that will produce measurable improvements, regardless of agency size. This guide outlines the sequential steps necessary to develop a performance management model. What Every Chief Executive Should Know: Using Data to Measure Police Performance, (Looseleaf Law Publications, 2007) by Captain Jon M. Shane (ret. 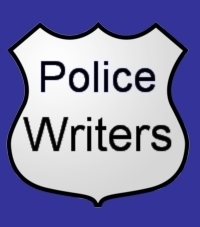 ), was selected as the 2008 Police-Writers.com Book of the Year. In December 1985, Jon Shane Joined the Newark Police Department (New Jersey) and was assigned to the South Police District. During his 20 year law enforcement career, he worked a variety of assignments and worked his way through the ranks of detective, sergeant and lieutenant, eventually reaching the rank of Captain. The Newark Police Department has two primary divisions and several important bureaus. The Patrol Division and the Detective Division are the largest organizational entities within the Newark Police Department. The Patrol Division, the largest, is organized into four police district commands and a Tactical Patrol Bureau. The Detective Division of the Newark Police Department is organized into four components: Major Crimes Bureau; General Investigations; Narcotics; and the Property and Evidence Bureau. The Bureaus of the Newark Police Department include: Records and Communications Bureau; Special Operations Bureau, Youth and Community Services Bureau; and, the Internal Affairs Bureau. In December 1985, Jon M. Shane Joined the Newark Police Department (New Jersey) and was assigned to the South Police District. During his 20 year law enforcement career, he worked a variety of assignments and worked his way through the ranks of detective, sergeant and lieutenant, eventually reaching the rank of Captain. His last active duty assignment was in the Command Operations Center which provides command rank supervision to the Department during non-business hours. The Command Operations Center personnel monitor significant planned or spontaneous events, inspect Department-wide operations including field deployment, operational readiness, and administrative procedures. The Command Operations Center also provides control of resources to address prevailing service demands, command level presence and oversight at the scene of unusual incidents. Captain Jon Shane (ret.) has a BA and Masters in criminal justice; and, is currently working on his Doctorate in Criminal Justice. Captain Jon Shane (ret.) is the author of What Every Chief Executive Should Know.